Peanut butter and jelly is a classic combination. But it’s not a stagnant dessert. I’ve made several peanut butter cakes in my time. 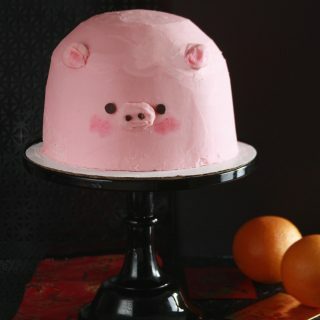 Cakes like this, this, and this ones are just to name a few. I’m always on the look out for new versions of peanut butter with it’s fabulous jelly counterpart. I love seeing new combinations. 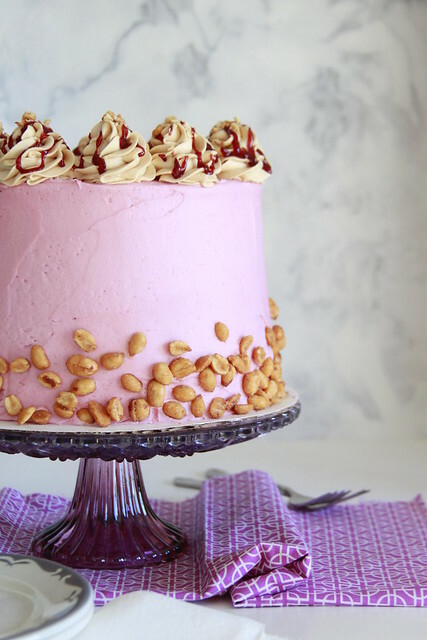 Here, I recreated The Scran Line’s Peanut Butter Jelly Cake. 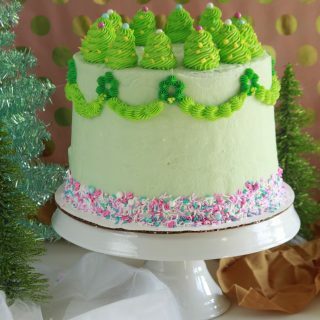 To review, the cake texture is perfect for stacking. It is pink from the food dye. 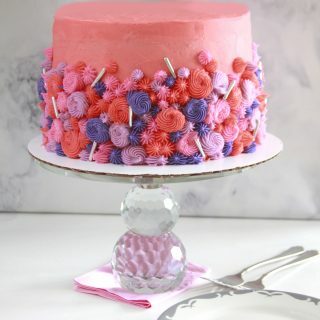 Unfortunately fresh or frozen raspberries give a cake batter a not-so-appealing brown-green color. So as much as people want “natural,” food color is needed. 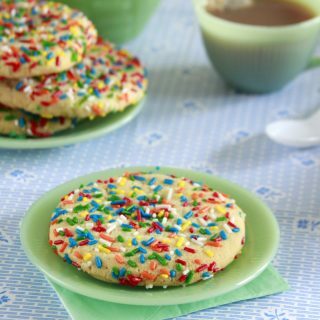 Frosting is a given. Double the frosting is a surprise. However for me, more frosting isn’t really a surprise. 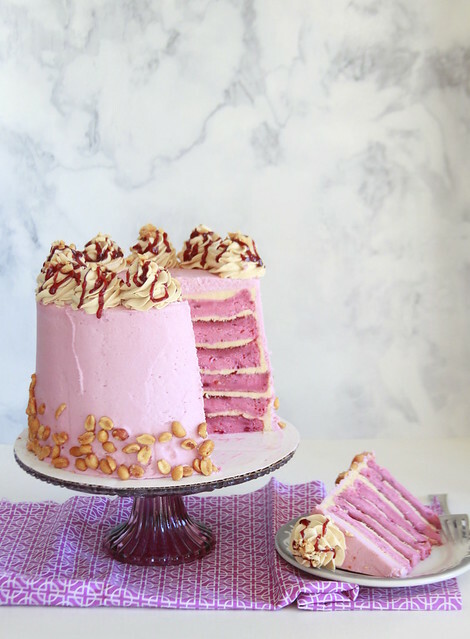 The peanut butter Swiss meringue buttercream makes with a dramatic contrast against the pink raspberry cake. 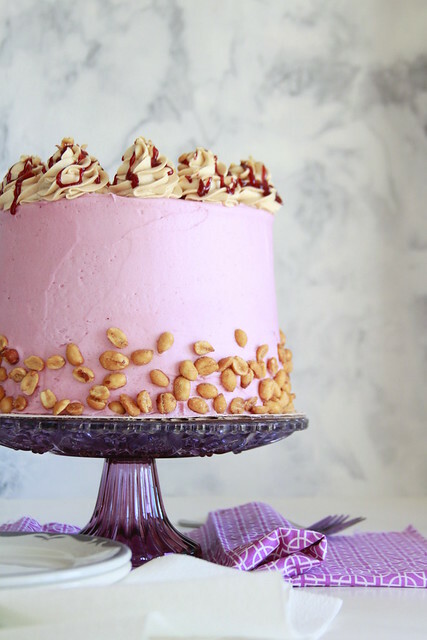 A vibrant raspberry Swiss meringue buttercream is the dramatic top coat contrasted with chopped salted peanuts. 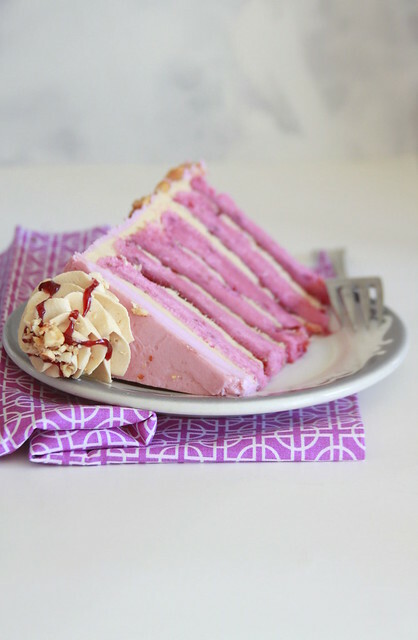 This Double Frosted Peanut Butter Jelly Cake is a vibrant and fun twist on classic combination!